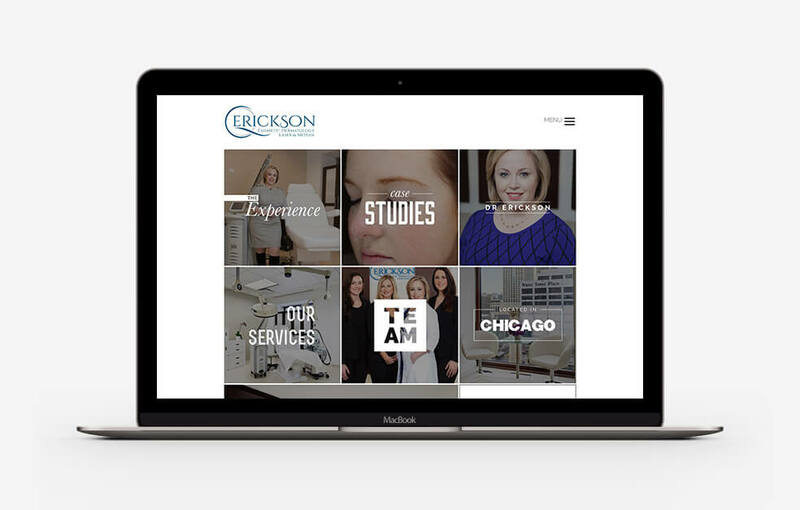 Chicago’s hidden treasure, for those seeking a one of a kind cosmetic dermatology experience, this is it. 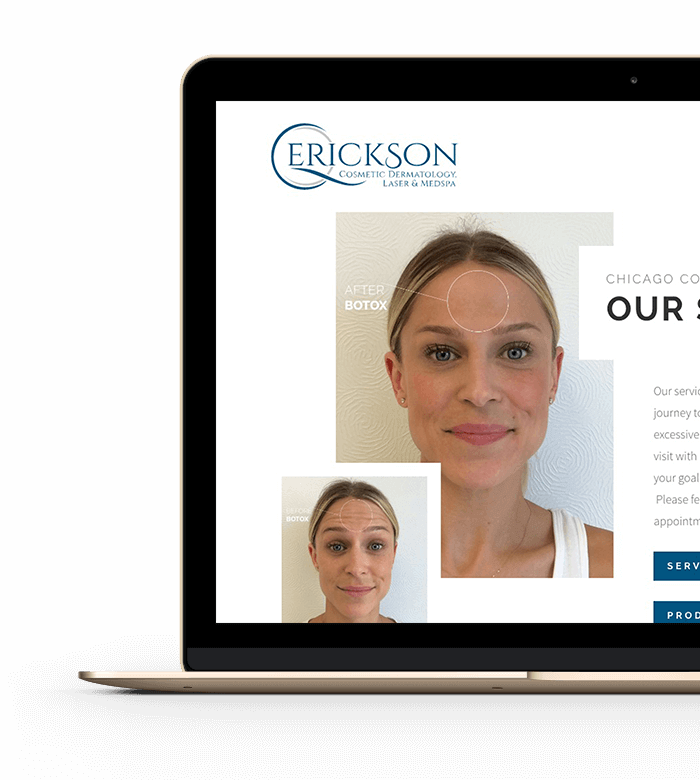 Erickson Dermatology provides a professional yet inviting experience rich in personal attention and professional results. Located just around the corner from Neiman Marcus on the famous Michigan Avenue in Chicago, they offer the most sought-after cosmetic dermatology procedures in a serene and luxurious environment. 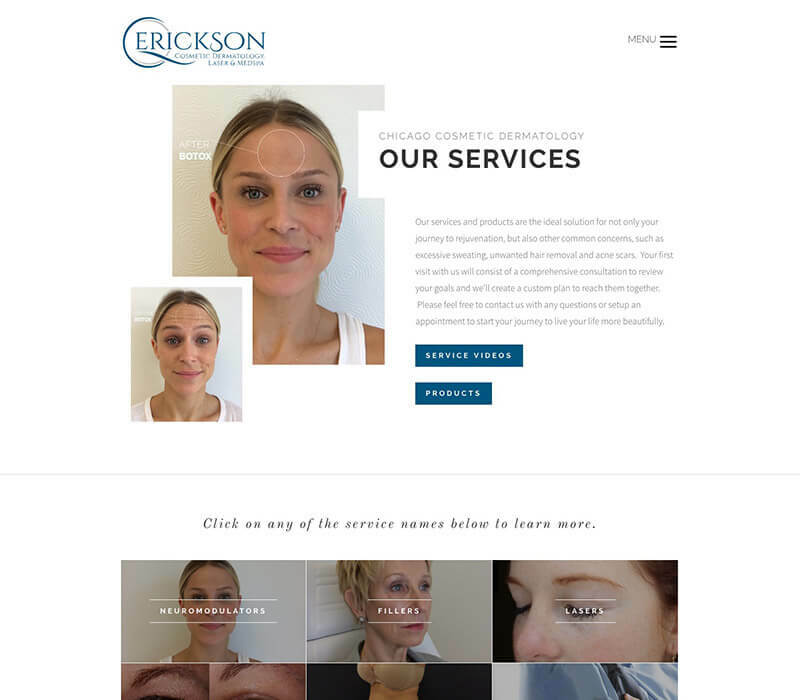 Designing a website for a doctor and her office that didn’t feel like the average doctor’s website was the goal. We opted for a very graphic-rich design that was personal and creative yet conveyed professionalism and trust. 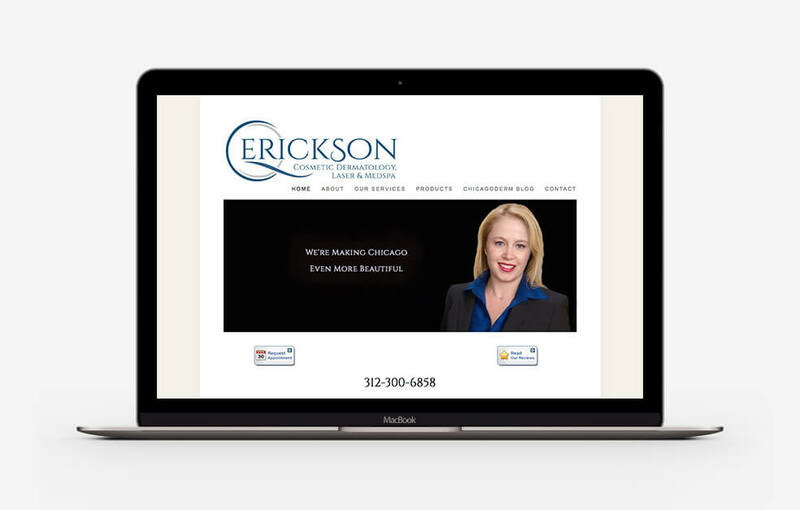 A sophisticated look to match the experience that one can also expect to receive while visiting Erickson Dermatology. Call to actions are an essential part of every website. 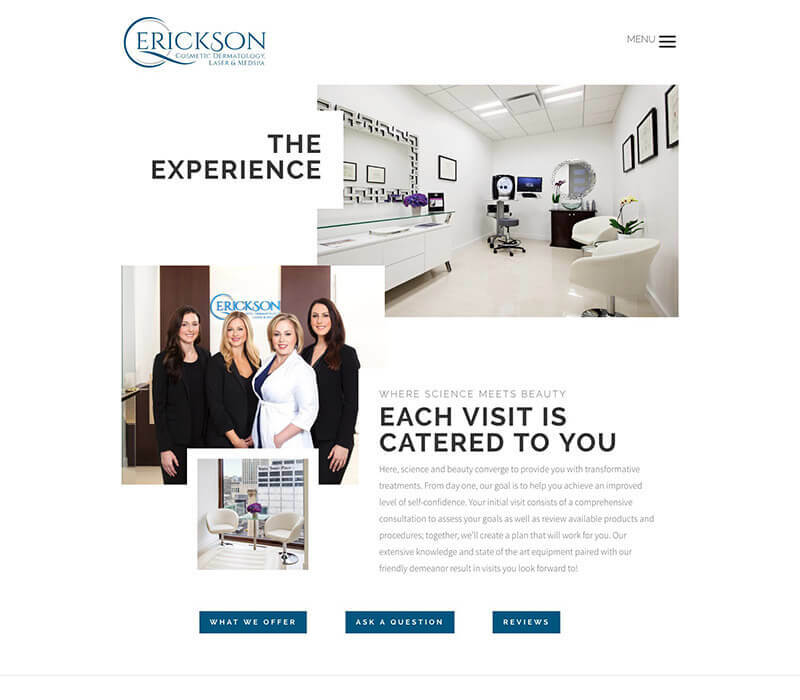 When designing the home page for Erickson Dermatology’s website, we brought in our love for graphic design and created several tiles that are aesthetically appealing and serve as links to the most important sections on the website. These boxes serve as call to actions without overwhelming the visitor. Audiences across every industry absolutely love graphics; we had the unique opportunity to include a variety of media in this website project. 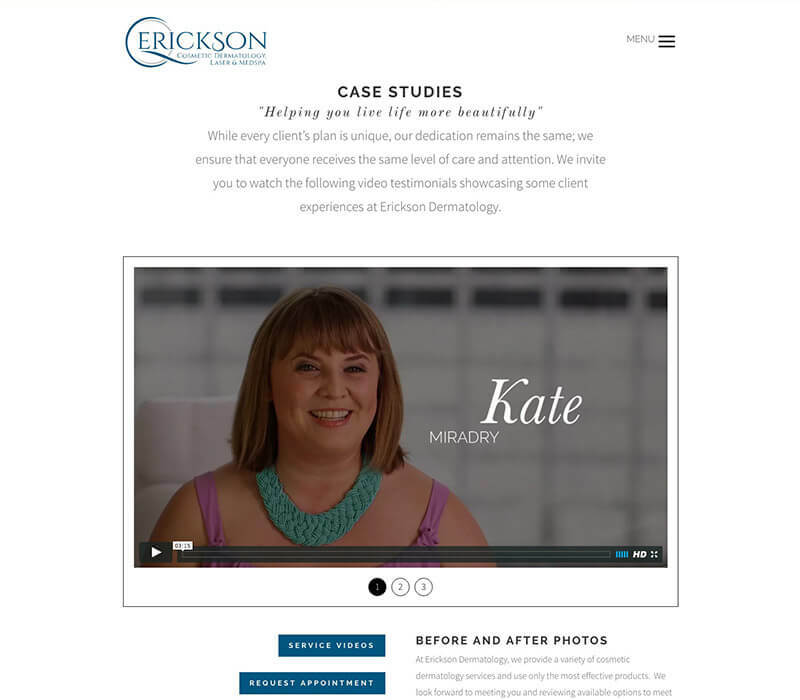 Professional imagery and custom created video clips are a highlight of this website design, from testimonials provided by real patients to informative service clips explaining procedures by Dr. Erickson herself to before and after galleries.